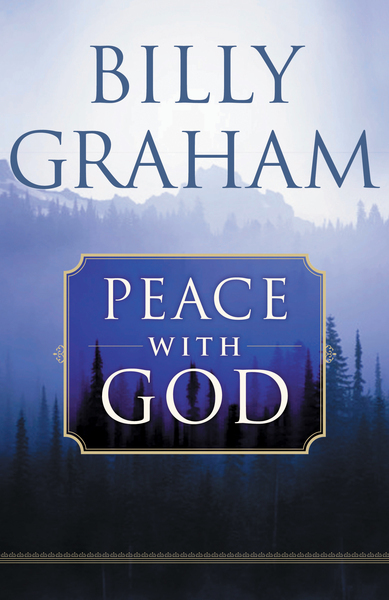 Dr. Graham shares God’s gentle, reassuring promise of spiritual calm—of authentic personal peace—amidst a personal life wracked with too much stress, too many burdens, too great a heartache. “I know men who would write a check for a million dollars if they could find peace,” writes Dr. Graham. “Millions are searching for it. But we Christians have found it! It is ours now and forever. We have found the secret of life! . . .When your spouse dies or your children get sick or you lose your job, you can have a peace that you don’t understand. You may have tears at a graveside, but you can have an abiding peace, a quietness.